Servane Mouazan has an incredible energy and a beautiful determination to all that she does. The role she has created for herself is helping women social innovators to be more influential and better connected. She founded Oguntê and the Global Tribal Network, to prove that women can solve pressing social issues when given more skills and space to do so. 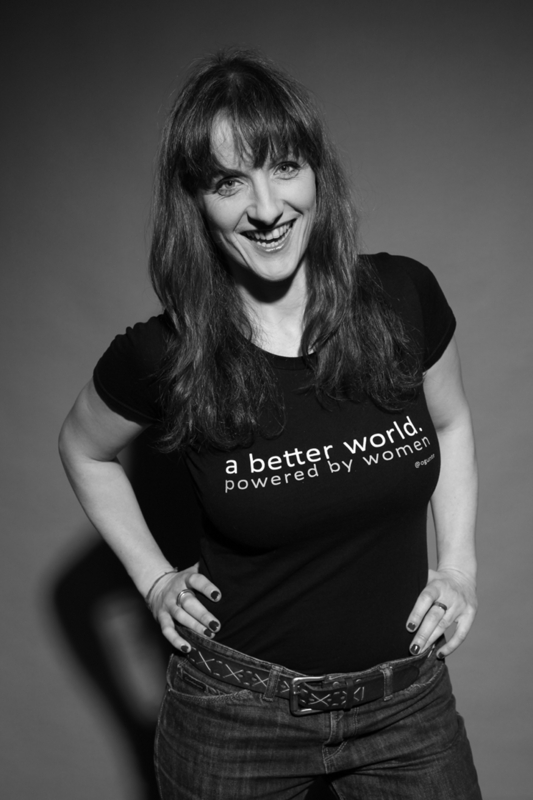 She is passionate about supporting, connecting and promoting women who work in social enterprises, networks and campaigns, and contribute to making the world a better and more equitable place. She has closely helped over 2000 women so far, in Europe and South America, directly impacting over 200000 individuals and organisations. She does this with her colleagues at Ogunte, through social leadership and social impact programmes, investment and strategic networking development. They created the first Women’s Social Leadership Awards in 2007, still on going and Make a Wave, a Pre-Incubator for women social entrepreneurs. In addition she is a Board Director at Social Enterprise London, a UK Ambassador for Women in Business, an RSA fellow, and a Common Purpose graduate. She was highly commended Social Enterprise Mentor of the year in 2007 by the Newstatesman, and awarded by the Global Women Inventors and Innovators Network in 2009 for her contribution to the sector, and Nominee for the Association for Coaching Honorary Award for Social Innovation 2011. In this video you can watch her explain what she does. SM: I choose a better world. powered by women. It’s a future where women changemakers are sitting at the decision making tables, in the proportion they are due, a world where they focus on the practical solutions they can bring about to solve global other social and environmental issues rather than on glass-ceiling and other gender misrepresentations. In my future these issues would have been solved. We have been distracted for too long for the wrong reasons. I want to live in a world where these women are truly enabling themselves and others to step up, take action and get positive and impactful results.
? !X: What’s a ‘think’ that has made you want to create this future? SM:My daily task is to follow a simple routine that involves: connection, competence, confidence. I need to connect or connect people with one another, I learn, teach or coach someone into harnessing their skills, and developing their ventures, Finally I need to give myself confidence that the whole vision is a step nearer everyday, and/or create a platform for an individual, their team, or a whole group to gain confidence and create more impact. SM: I pledge to encourage civil society organisations to be more representative, lobby for them to have more women changemakers on board, and make sure that we all create more platforms together where they will be heard, championed and invested in.
? !X: Soundtrack for the future – what one song would you take with you? A Minha Alma (Lyrics Marcelo Yuka – O Rappa) My soul is armed and pointed at the face of complacency. Because peace without a voice. It’s not peace, it’s fear ! Can you share up to 5 weblinks of sites that you find interesting and inspiring online?